Once you have set up the integration between 3Play Media and Panopto, follow the steps below to configure a Panopto folder so that all new content, when added to this folder, is then automatically submitted to 3Play Media for closed captioning. Upon completion of the transcription process, the closed captions will be sent back and added to the associated sessions automatically. Click All Folders the left-hand side of page after signing into Panopto. Locate the folder you want to configure so that when content is added to it these assets are automatically sent to 3Play Media to begin the transcription process to create closed captions. 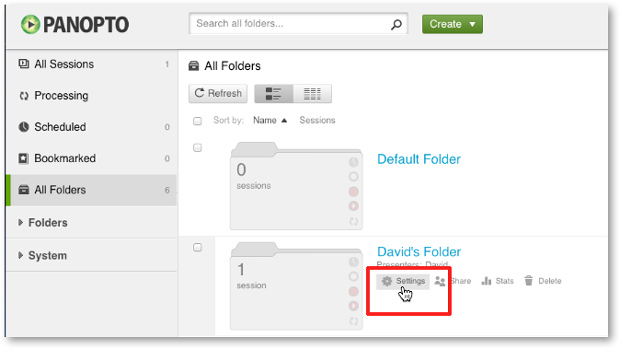 Hover the cursor over this folder and click Settings. 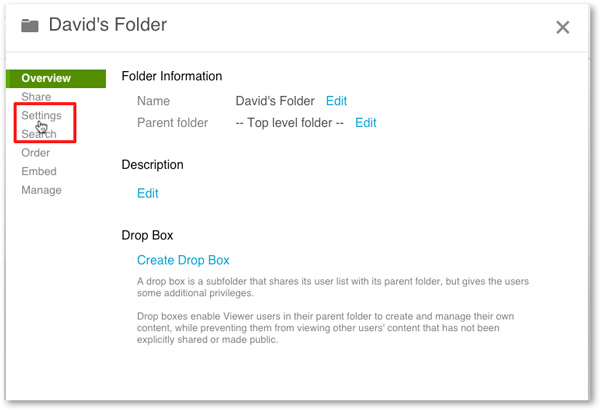 Click the Settings tab from the available options for this folder. 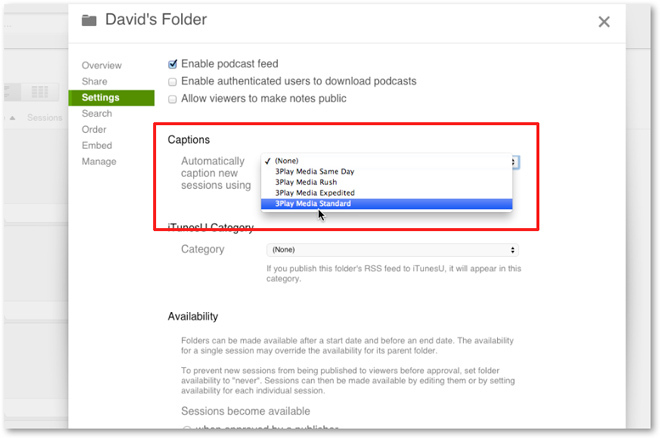 In the Captions section of the Settings page, select from the available 3Play Media turnaround service level options for closed captioning requests. Note that only one turnaround service level can be set for a folder, however this can be edited later at any time. Once the turnaround service level is selected click the X in the top, right-hand corner of the menu to save this setting. Now sessions added to this folder will automatically be sent to 3Play Media to create closed captions at this configured turnaround service level. 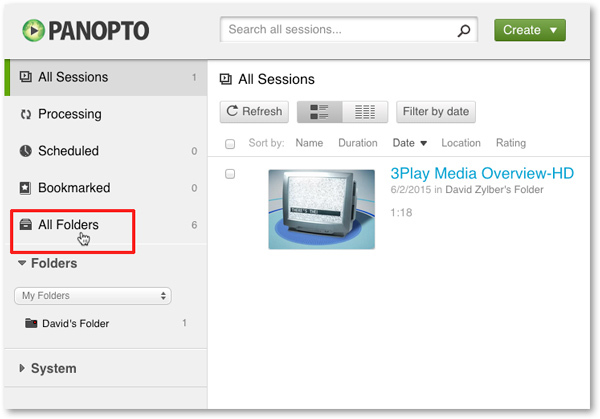 Once sessions are submitted to 3Play Media, the status of caption requests can be tracked directly from within Panopto.